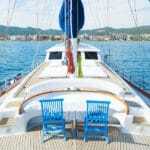 ﻿What Yacht Charter Turkey Destination Choices Do I Have? As one of the most preferred destinations, Turkey offers a plethora of stunning yacht holiday destinations in the Mediterranean and Aegean sea regions. Between these two regions, the most popular and preferred yacht charter Turkey destinations to embark from are the lively city of Bodrum – home of the Turkish gulet boats; the colorful and fresh city of Marmaris – also a gullet charter heaven; the charming little town of Gocek – with its incredible islands and bays; and the bustling harbor city of Fethiye. Among these superb cities, the airport transfer distances are quite reasonable if not very close by. 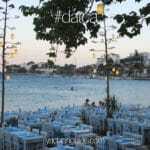 For instance the town of Gocek – being the closest, is a mere 20 minutes’ drive from the Dalaman International airport. Following close proximity is the city of Fethiye at only 40 minutes’ from the Dalaman airport. In the Aeagean region, the Milas airport is also 40 minutes’ away from the harbor and the city of Marmaris with its scenic entrance into the city is just over an hour away from Dalaman airport. Depending on where your gulet is based or where your itinerary begins, all gullet cruise destinations from these points are beautiful. Should you choose to visit the Greek Islands, the ideal harbors to embark from are either Bodrum or Marmaris. Marmaris also adds the advantage of serving not only the Mediterranean region of Turkey, but also the Aegean region as well as the Greek Islands in the Dodecanese and Cyclades. Whereas yacht charter Bodrum itineraries accommodate the Aegean region of Turkey as well as the Greek Islands in the Dodecanese and Cyclades. For your blue cruise Greek Island holidays, travelers can also embark from Rhodes island in Greece and visit destinations in Turkey and Greece. For charter yachts in Turkey leaving from Gocek port, itineraries in the Aegean will visit Marmaris; alternatively travel to the Antalya region to Kekova where travelers can visit the ancient sunken city of Simena and the castle ruins in Kalekoy. Antalya is another place that travelers can begin their sailing charter holidays. However due to much of the region being open seas, it is not as popular as the above. Then again for gulet cruises extening long distances and custom itineraries to the island of Cyprus, Antalya’s Celebi Yacht Marina is an ideal place to start. 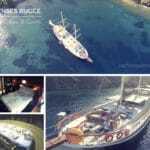 As a last note, the region where most of the boat traffic can be found with daily tours, yacht cruises and gulet charters is the Gocek region. 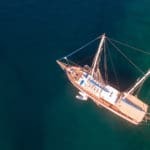 Therefore if you are looking for more cleaner waters, less boat traffic and serenity, the Marmaris and Gulf of Hisaronu region is most ideal – not to mention absolutely breathtaking… but that’s another blog to write about!